A year round destination, Sun Peaks Resort in British Columbia, is home to the ideally located Sun Peaks Lodge. The hotel is a cozy Alpine retreat featuring 44 well appointed, newly renovated guest rooms. Whether youâ��re planning a weekend getaway, a ski trip or a family vacation, the Sun Peaks Lodge is the ideal choice. Enjoy many seasonal activities including skiing/boarding,dog sledding, snowmobiling tours, golf, mountain biking, hiking, swimming and canoeing. 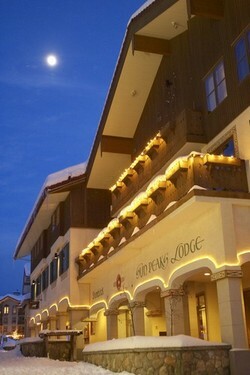 With true ski-in/ski-out access guests enjoy in-house ski rentals and the Steakhouse during the ski season. 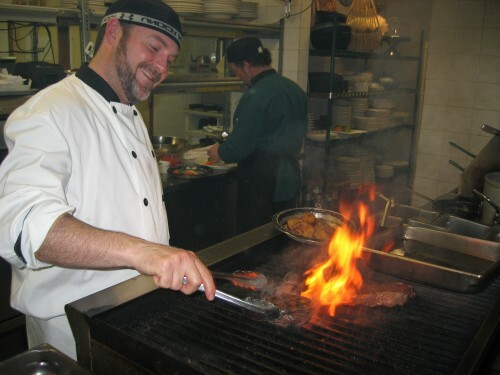 Whether you are looking for a classic New York, a tasty Sirloin, Rib Eye or a really good Prime Rib, you will find it here at Sun Peaks' only Steakhouse. A casual atmosphere, reasonable prices, friendly staff and a great kids menu make our guests return. Reservations are recommended. 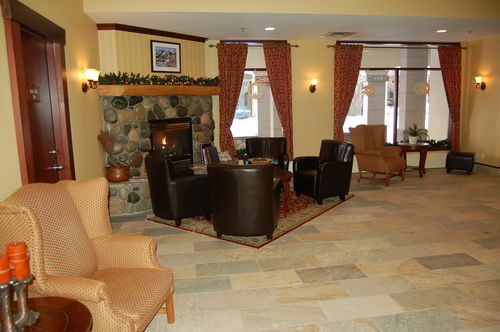 Our Hotel offers a Lobby with Fireplace, Wellness Area with Hot Tub, Sauna and Steam Room only during the ski season, Ski Storage, Underground Parking, Ski Rental& Repairs at "McSporties" and the Sun Peaks Steakhouse during the winter. Are you planning a wedding? We have the perfect location at Sun Peaks. 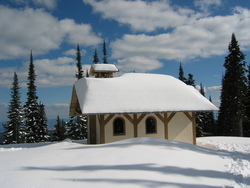 Our mid mountain chapel. It seats approx. 15 people and can be rented for $150.00 plus tax. You can get it for free if you rent 10 or more rooms at the Sun Peaks Lodge. Call us for details. 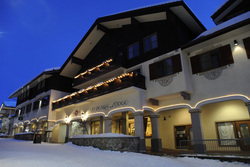 If you are from Germany, Austria or Switzerland you can also book our hotel in combination with flight, lift passes, rental ski and meals over www.stumboeck.com.